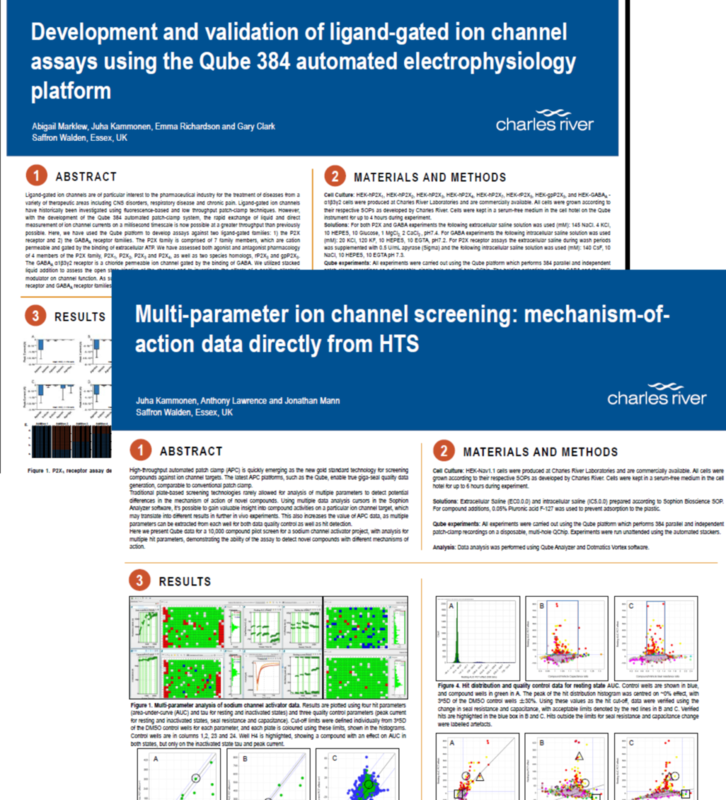 Using the stacked solution technology Charles River have developed and validated an assay suited for high through screening on both P2X- and GABA receptors. The short exposure of ligand of less than 1 second enables repetitive stimulation which is necessary for this assay. In another assay with voltage-gated target, the vast number of parameters that can be measured with high fidelity e-phys makes it important that the underlying software is powerful enough to cope. Read more here for ligand-gated and here for the NaV1.1 assay.